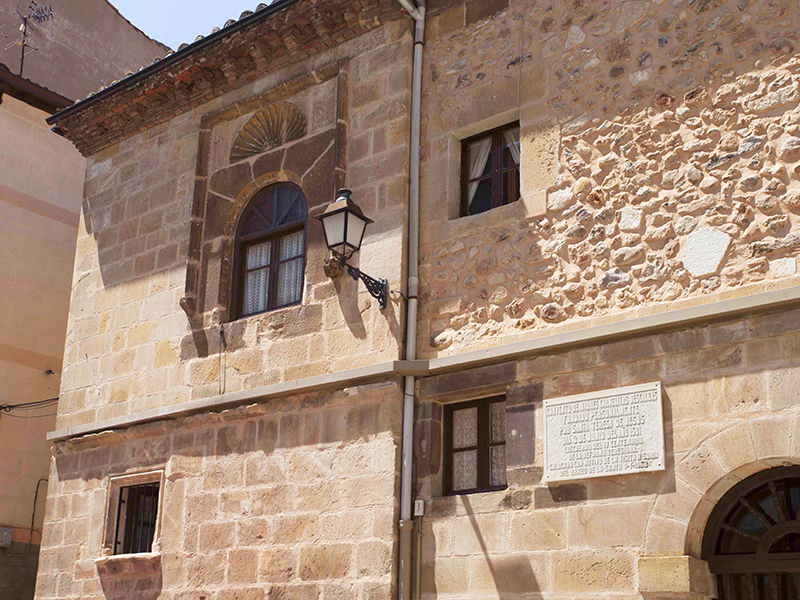 The Barefoot Carmelites came to Soria called by the Bishop of Osma Don Alonso Velazquez, on 2 June 1581. 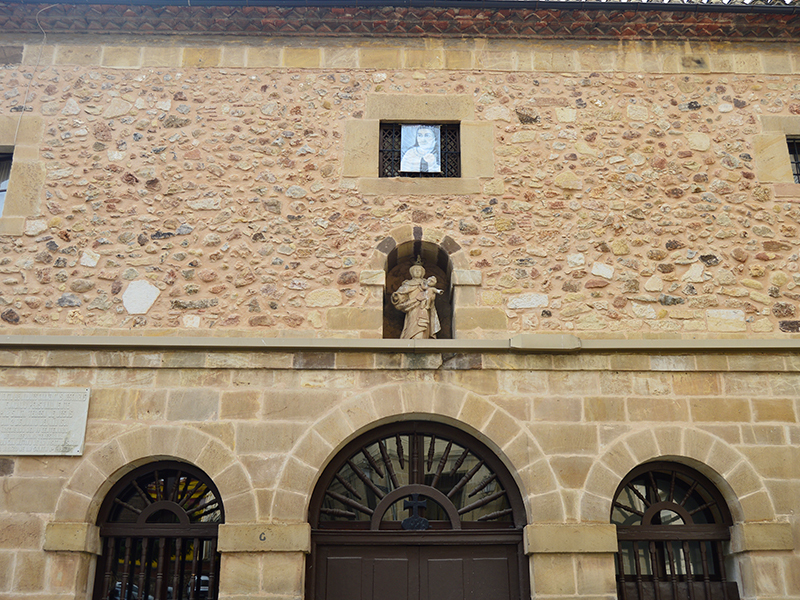 For the foundation offered the noble Dona Beatriz de Beaumonte his house palace to be established. At five in the afternoon of June 2 received, the noble Dona Beatriz of Beaumont, at his palace in the Plaza de Fuente Cabrejas, to Teresa and her nuns. In the hall of the palace were waiting for founding the ladies of the city, a scene of distinction, honor and distinguished people. Mother Teresa thanked them taxed welcome. 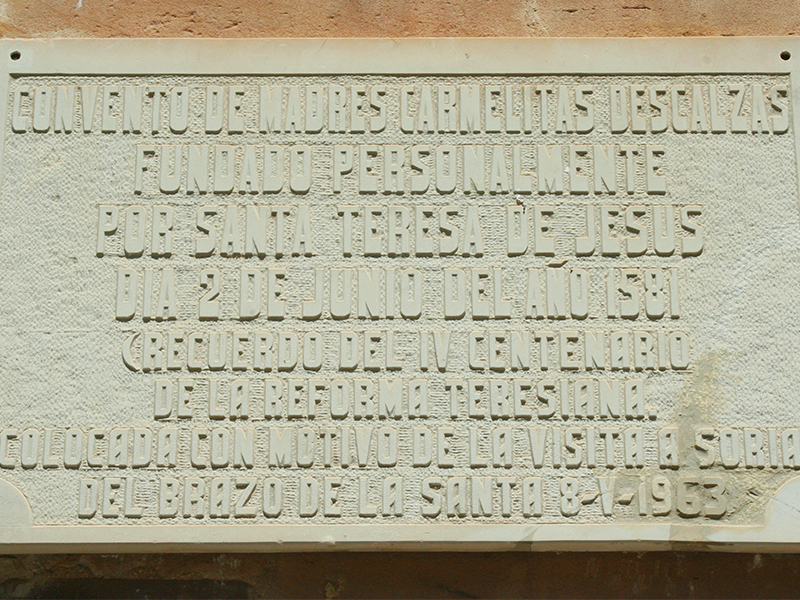 Following the signing of the memorandum between Ms. Beatriz and Mother Teresa, where Ms. Beatriz agreed to give 3,000 ducats to adapt the palace to convent and an annual income of 500 ducats, was inaugurated Convent solemnly on June 14 of that year. 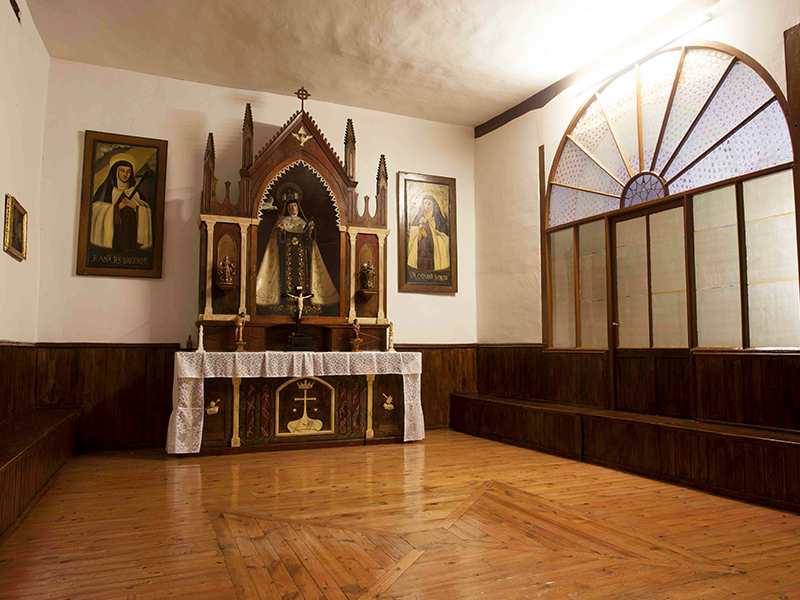 In 1680, religious they led to the establishment of the Discalced Carmelite friars, to help them as chaplains and confessors; a small convent for them will be built on the left side of the Church; the offices of the nuns are on the right side; the church is commonly used. The sisters have continued uninterrupted in the monastery except for about 30 days in 1808, during the stay of the French in the city. Its original architecture - with predominance Renaissance - corresponds to the first half of S. XV and XVI extensions. Simple in construction, ashlar, with few openings, with triple door entrance arches and small square windows on the facade. On the arch of the center is a small niche in which the image of the Virgin was placed with the Child. Behind this facade, the hall at that time did atrium access to the property initially donated by Doña Beatriz of Beaumont is preserved. 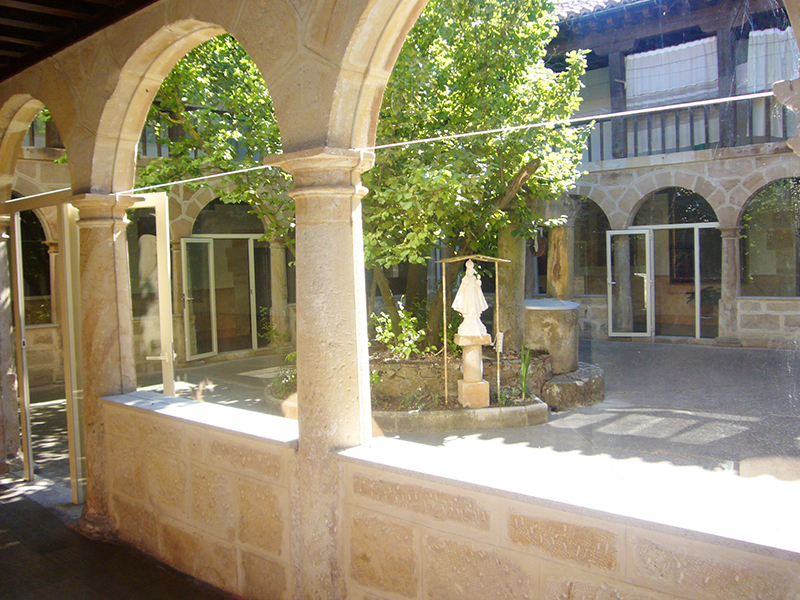 The cloister of the hazel tree, named for the tree of that species that Mother Teresa planted on him during his stay, was rehabilitated between 1605 and 1609, years in which also carried out the construction of the staircase and parlor of the monastery. 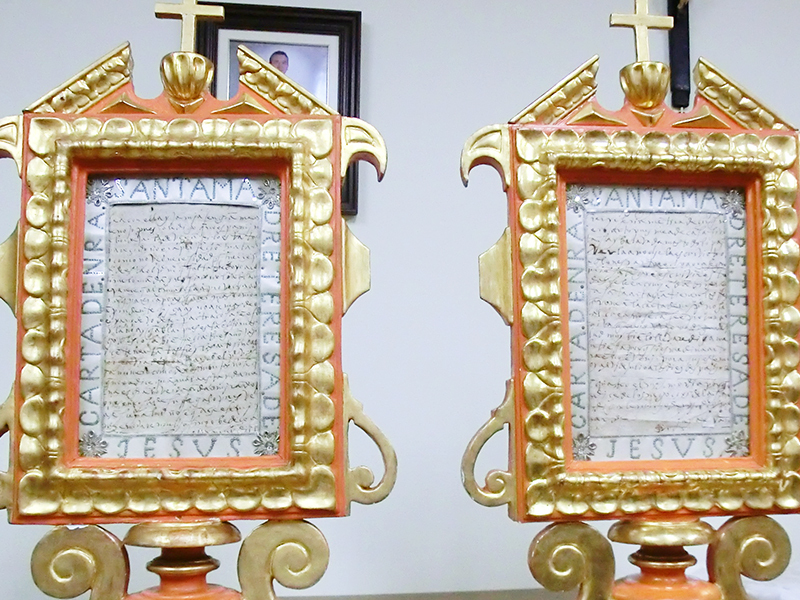 Inside the building the current community of the Discalced Carmelites addition hazel, preserved original fragments of letters written by Teresa of Jesus and other relics. Convent not visitable. Only outside building.